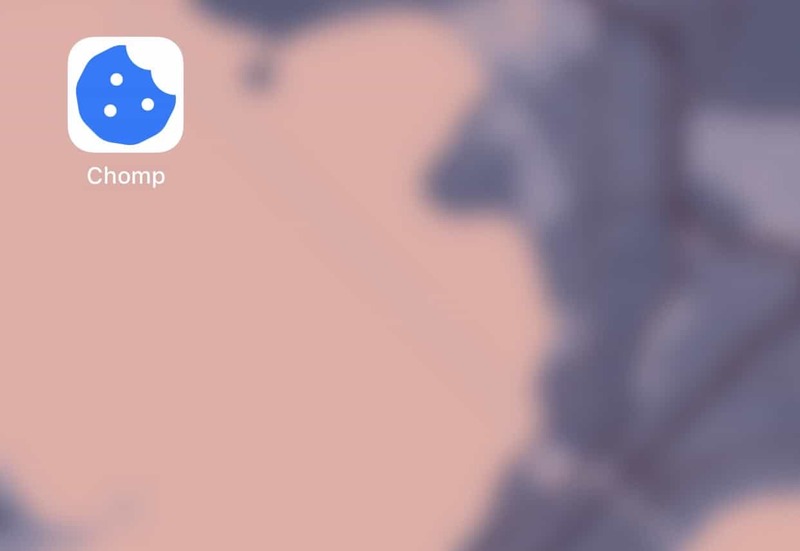 Follow the steps to add a handy shortcut to CHOMP on your iOS home screen. Scroll down for step-by-step instructions. Open the Safari web browser () on your device and head to https://chompthis.com. 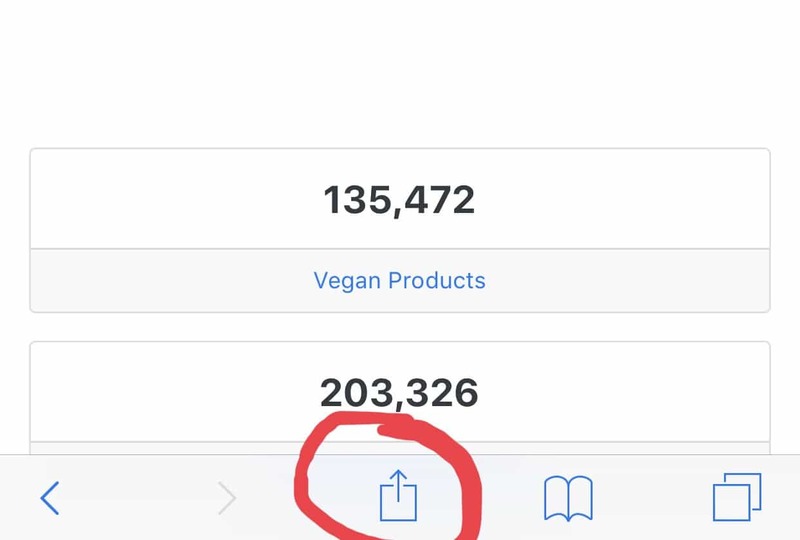 Tap the share icon () at the bottom of the screen. It resembles a box with an upward-pointing arrow. Scroll accros the bottom row of icons in the Sharing window and tap "Add to Home Screen" (). Tap "Add" at the top of the screen to save the new icon to the iPhone, iPad or iPod touch Home screen. 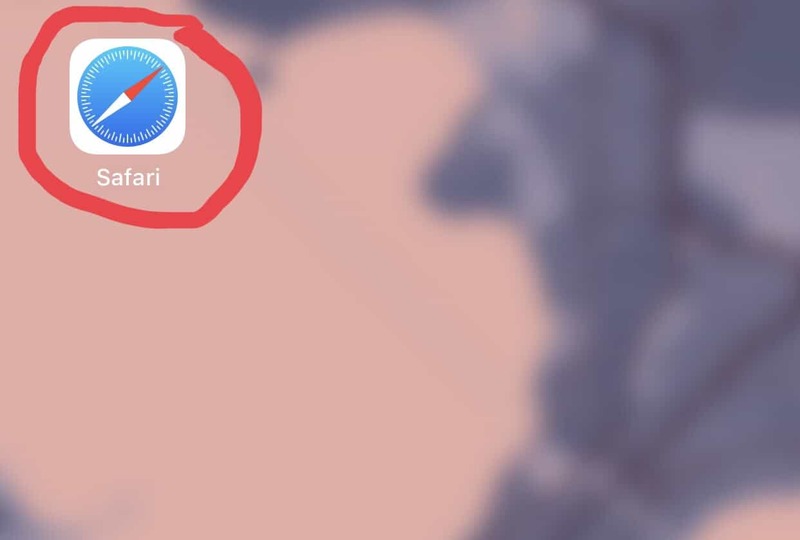 You'll see the new icon next to all your other app icons. You may need to scroll through your Home screens to locate it if you use several home screens. Tap the icon to open Safari and go directly to CHOMP. 1. 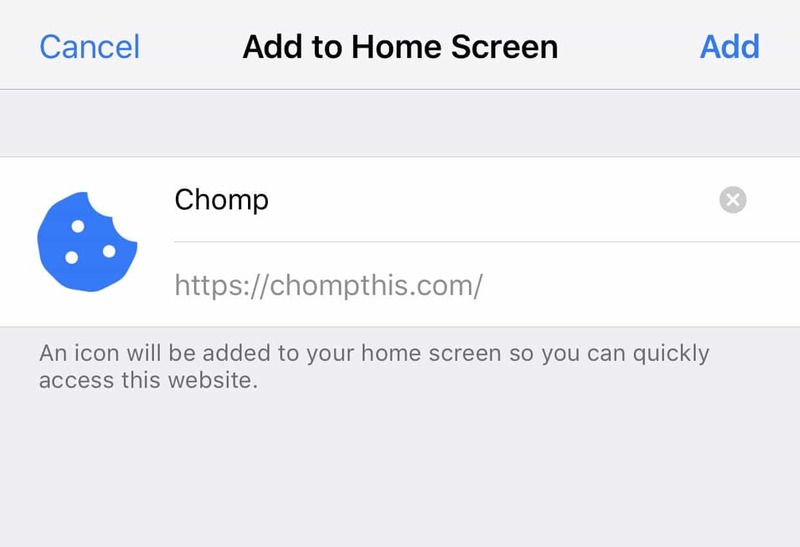 Open the Safari web browser () on your device and head to https://chompthis.com. 2. Tap the Share icon () at the bottom of the screen. It resembles a box with an upward-pointing arrow. 3. Scroll accros the bottom row of icons in the Sharing window and tap "Add to Home Screen" (). 4. 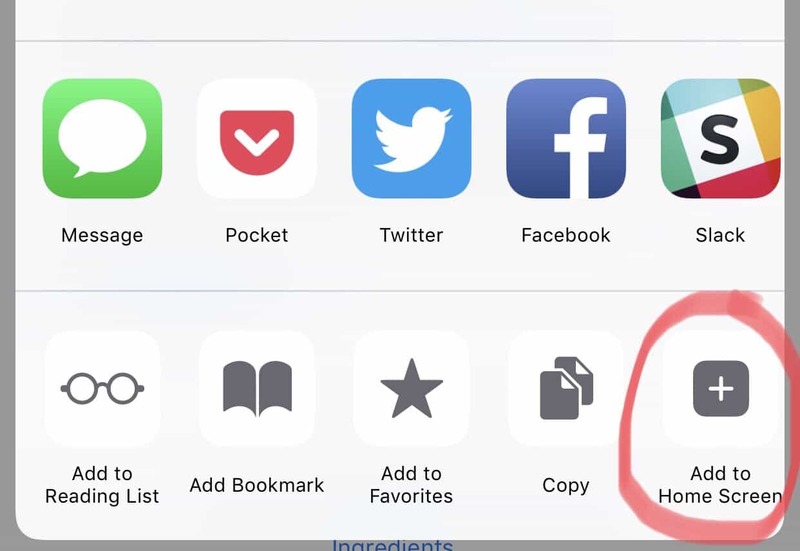 Tap "Add" at the top of the screen to save the new icon to the iPhone, iPad or iPod touch Home screen.